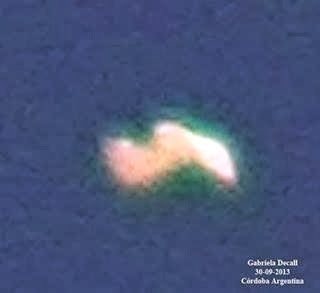 Luis Burgos of the Fundación Argentina de Ovnilogía (FAO) submitted the following image to PLANETA UFO, showing a luminous anomaly described as a "variable UFO". 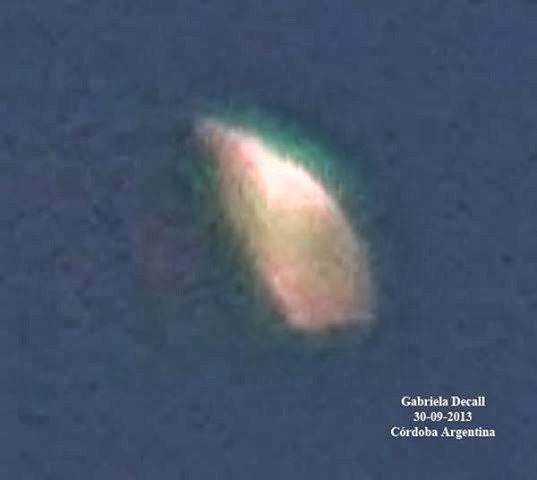 The image was taken on the 30th of September of this year by Gaby Decall. Our thanks as ever to Guillermo Giménez!